Never drive with the roof down when it's 106 degrees (41 Celsius) outside. Don't try to close the roof in the middle of a highway. I decided to watch the Dark Knight on IMAX after reading about that special version. Since all shows for 2 days were sold out in advance, I had to book a ticket (using Fandango) for 2 days later. The theater was full and the line to go in started an hour before the show. The movie itself was beyond great. 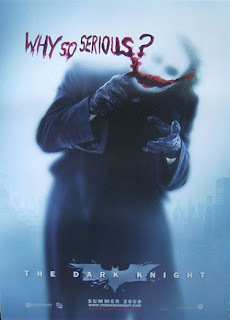 I'm not a movie critic, but the Dark Knight goes way beyond a regular summer flick. The action sequences are convincing and quite realistic. Even though this long movie (2:32 hours) has only 22 real IMAX minutes, it's worth watching on an IMAX screen. The opening shot alone made some people go "oh f___!". The film itself is not your typical comic book movie. You can easily replace the Batman and the Joker with 2 un-customed people, and still get one of the best crime/suspense thrillers ever. And suspense you have - in spades. Actually, a bit too much of it. The film never let's the suspense level down, which is a major flaw for such a long film. Each character has its depth and flaws. The late Heath Ledger is mesmerizing as the Joker, with the greatest depiction of that character on the screen ever. Every minute he's own you're on the edge of your seat. Sadly, the greatest performance of his life is also his last. Gary Oldman and Aaron Eckhart also deliver solid performances. Christian Bale is Ok, but not that convincing. In short - go watch it. I enjoyed it so much I can't wait for the DVD (hey Hollywood idiots! Why not sell the movie's DVD at the theater and make a buck on people who are sure to buy it, instead of waiting a couple of months so people will download it illegally?). One more thing: this film is definitely not for kids. Another thing that brought joy to my life was the trailer to next year's comic book film sensation, Watchmen. To watch this trailer (Quicktime plugin required) on IMAX was an amazing experience. Watchmen, simply put, is the greatest comic book creation. Ever. This 12-issue limited series by Alan Moore and Dave Gibbons changed the way comic book artists treated their characters and their integration into the "real world". It brought in a dark side to comics, and started the age of the thoughtful comic book. I've added a link to the graphic novel in the Amazon widget.